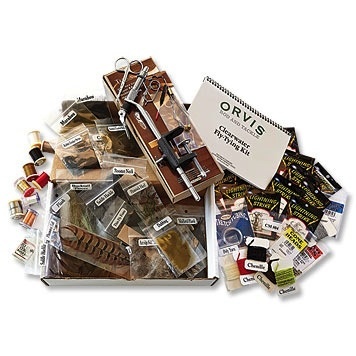 Get started quickly and easily with general fly-tying how-tos. All you need to get a sound start in taking up a rewarding and money-saving hobby is right here in this kit. Detailed instructions and materials for tying several each of essential nymph, dry, emerger, and streamer patterns. 150 hooks included with a full array of fur, feathers, hair, glue, plus the necessary fly-tying tools such as scissors, a bobbin, and much more. Made in USA.